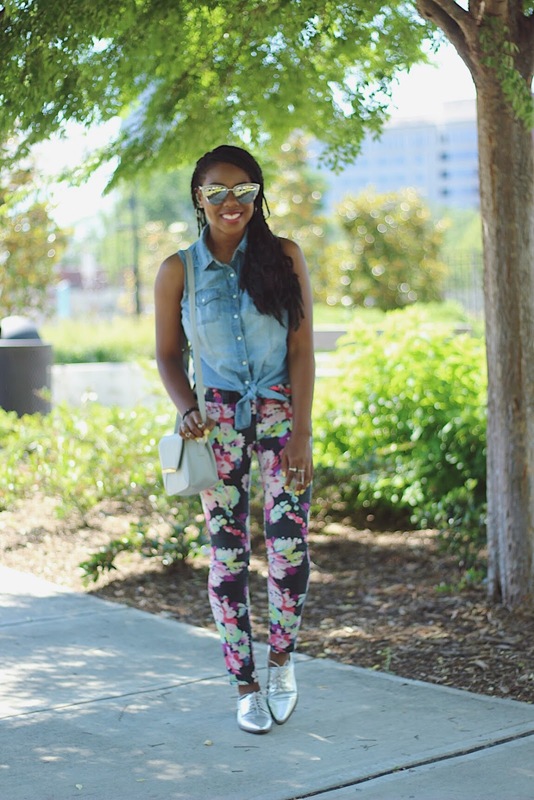 I love a printed pant, and in the spring, I love my floral printed pants! 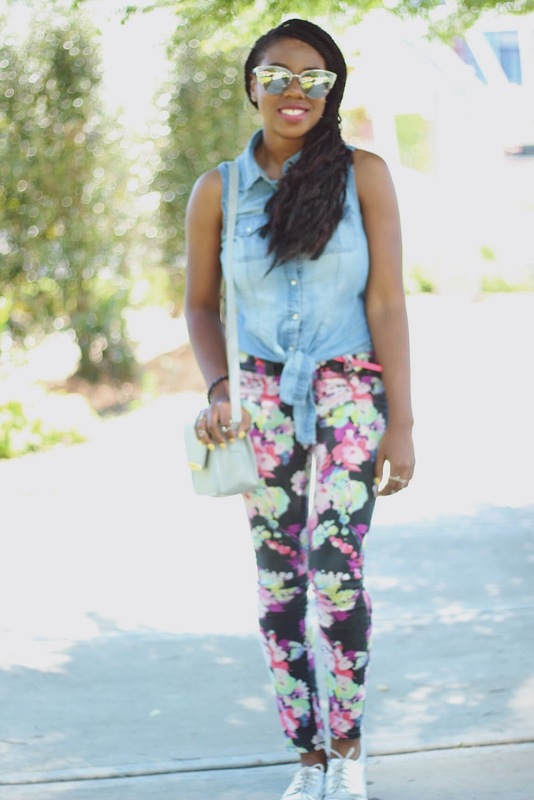 Printed pants add a little pop and fun spice to any outfit, but I know they can seem intimidating. 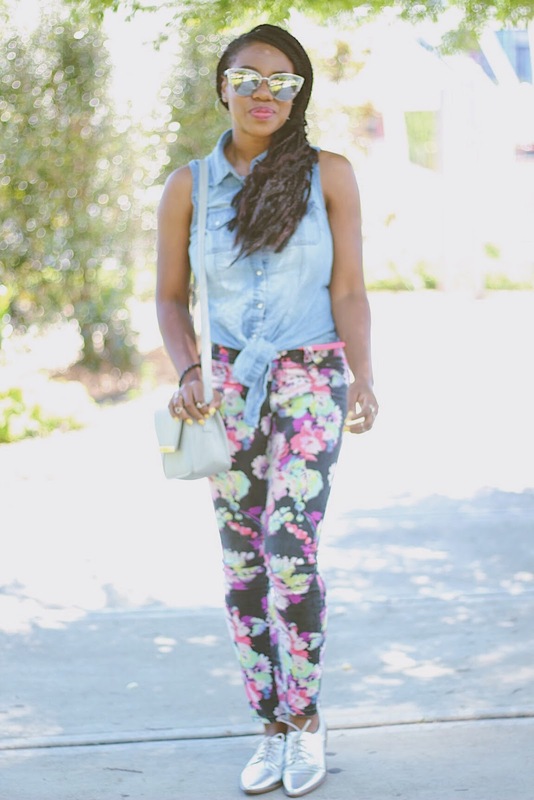 My tips for wearing printed pants is to keep the rest of your outfit simple. You don't want anything too extra flashy distracting from your main piece or clashing. 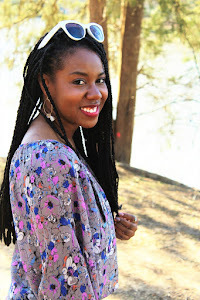 Now that's not to say that you can't mix prints, because experimenting in print mixing can lead to amazing surprises. 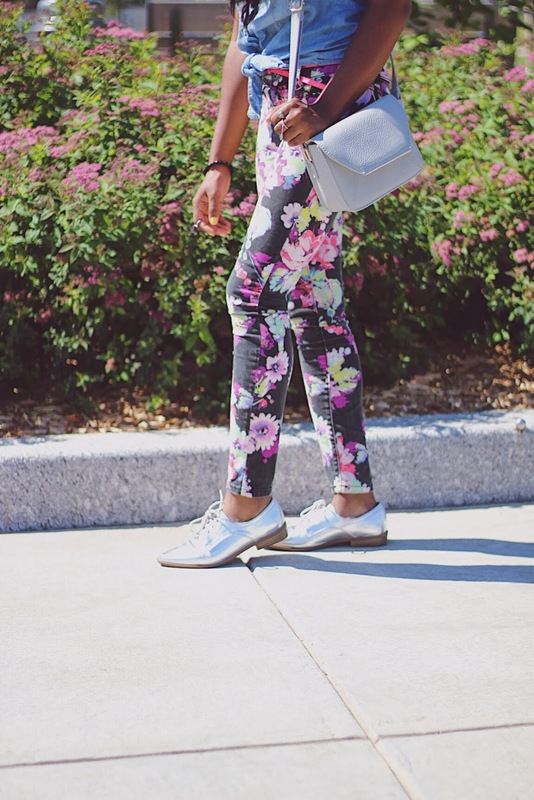 For today's post, the floral jeans I'm wearing have a lot going on, so I did want to keep most of my outfit simple, but I couldn't resist adding a little pop of silver with my metallic oxfords! I also added a hint of neon pink with one of my favorite belts! I purchased my pants a few years ago from Kohl's! 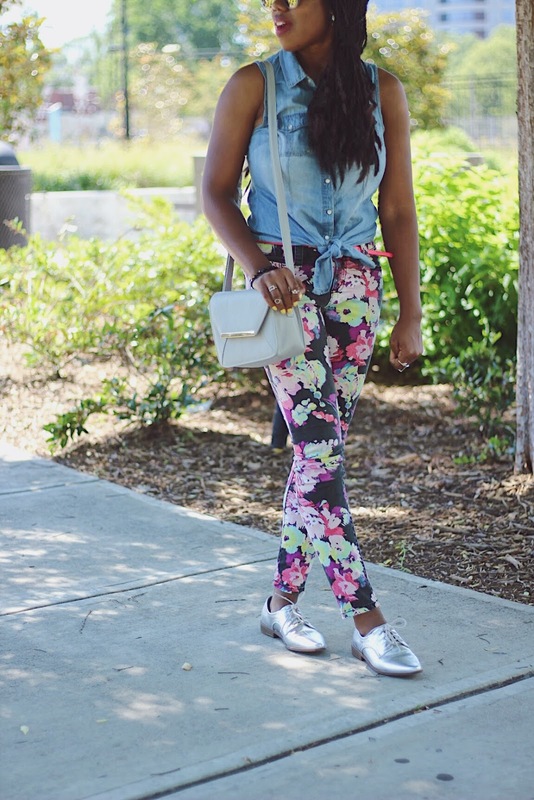 They and Old Navy have a great selection of fun printed pants!